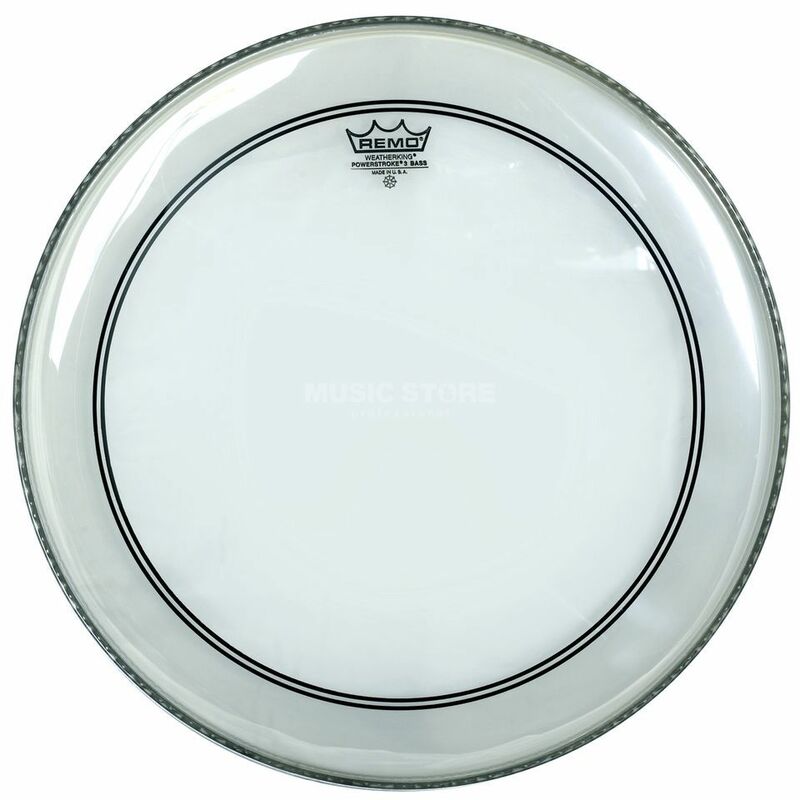 The Remo Powerstroke 3 Bass Drum Batter Clear is a bass drum batter/reso head that is single ply and clear, and made with 10-mil Mylar, at a dimension of 20". The Clear Powerstroke 3 features a thin underlay at the outer edge of the head to subtly dampen unwanted overtones. This creates a near-perfect balance of response and tone control that has quickly made Powerstroke 3 one of Remo´s most preferred drumheads. The Powerstroke 3 Clear skins have a built in mufflerring and purge bothersome overtones smoothly, creating a good balance in response and tone control making this skin a favourite among drummers.